"With Amo, Bring Me The Horizon is one of those groups that have gone wrong by opting for a commercial shift..."
The stylistic evolutions during a group's career never leave anyone indifferent. While some people rejoice at the willingness of their favorite bands to renew themselves, others, in love with the first hour, deplore this vision of change, sometimes brutally. Let us be clear: such a change, whether strategic or not, can be quite successful and, in general, such risk-taking should be encouraged. Of course, we remember Steven Wilson's album "To The Bone", more pop than ever, but still very good, or Ghost's "Prequelle", unanimously acclaimed by critics. 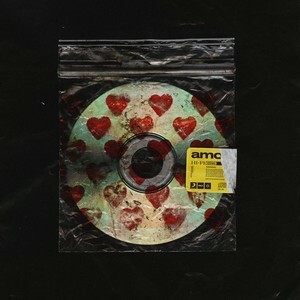 But in the case of Bring Me The Horizon, and especially on their new album "Amo", it is unfortunately difficult to say the same. Having rid themselves of their long-standing metalcore training label, the English have gradually switched to alternative FM pop/rock. Often, electro even completely takes over from other ingredients. Thus, 'Nihilist Blues' is not a blues but has all the characteristics of a 100% electro hit, so much so that it is difficult to distinguish real instruments in this artificial cloud that would make it a song that is completely compatible with content broadcast on NRJ. A slight temporary recovery will allow the listener to regain confidence in the rest of the disc. 'In The Dark' is more like Ed Sheeran with electric guitars and gives way to 'Wonderful Life', undoubtedly the most metal track on the album. Without revolutionizing his musical approach, the song is effective and featuring it with Dani Filth from Cradle Of Filth, well felt. The rest of the time, we swim in an ocean of insipid, uninspired alternative electro pop/rock. After 'Ouch', in sixth place, there will be no turning back, the virus of mediocrity having contaminated the place. This onomatopoeia perfectly sums up the feeling you get when you listen to the track. The insipid electro is now king. 'Medicine', 'Sugar Honey' & 'Ice Tea', 'Why You Gotta Kick Me When I'm Down',... so many flavourless soups led by warmed up and mawkish melodies, with a silly voice that irritates. There is no need to go any further. Bring Me The Horizon is one of those groups that have gone wrong by opting for a commercial shift such as 30 Seconds To Mars or Linkin Park, to name a few. As is often the case when switching to mainstream, the quality of the compositions suffers, and the British combo has not escaped the rule. By wanting to play music for the general public too much, the English have extinguished any hope of bringing less commercial and more authentic music up to date.